IP-SOC 2016 provides a turnkey solution to companies wishing to gain face-to-face contact with key players in the IP arena. The table top exhibition involves a low outlay in terms of financial cost, time out of office and organisational responsibilities, and gives a high yield in terms of high quality sales leads and company promotion. IP-SOC 2016 is a simple way of increasing the products and services you sell and getting your name in front of a highly technical, decision making audience. Download the contract by clicking here . 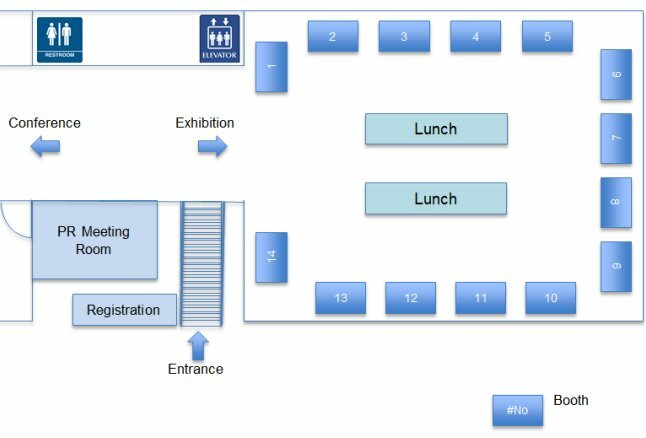 To learn more about exhibiting and the pricing of the above sponsorship opportunities at IP-SOC 2016 please contact us. Each demonstration area includes a table, two chairs and electricity.